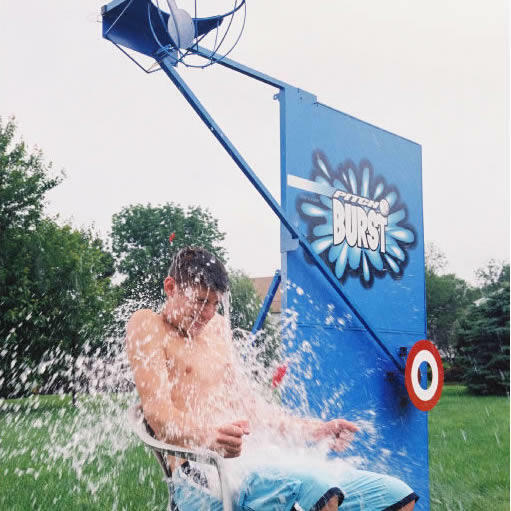 The Balloon Burst or Pitch Burst is a popular Dunk Tank Alternative. It is unique and enjoyable way to put a spin on the classic dunk tank water game whlie drawing a large crowd! You can expect laughter and excitement when the ball hits the target. A giant water balloon is dropped a burst from the Pitch Burst unit onto the waiting victim sitting below the balloon basket. 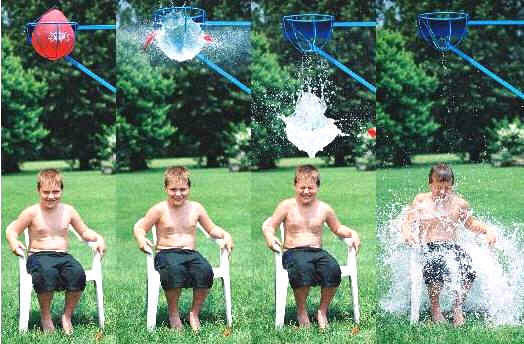 Safe, minimal water use, fun for all ages! Includes 72 balloons, nozzle for hose, and chair. Customer is required to provide water and fill up balloons using a standard water hose.